This is a square Big Four Route porcelain sign. This particular Big Four Route sign is orange and navy. 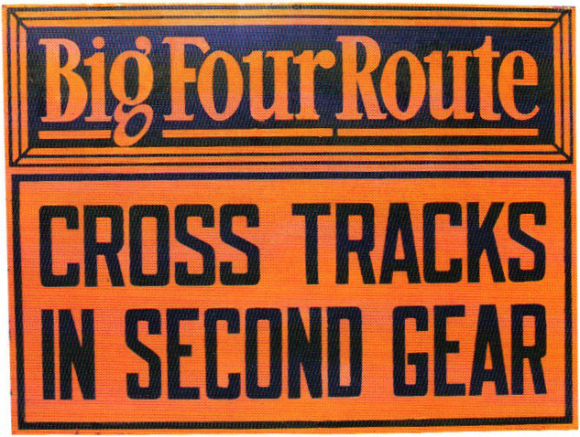 It reads, “Big Four Route, Cross Tracks in Second Gear” and has no other design.